Indoor cycling at Denali Fitness gives you a challenging multi-terrain ride using many different training drills for speed, strength and endurance to test your conditioning potential. This workout is designed to create muscle tone and strength in the legs as well as a strong and powerful heart through a moderate to high intensity cardiovascular work on the bike. This is a powerful workout that is tons of fun and burns tons of calories too. 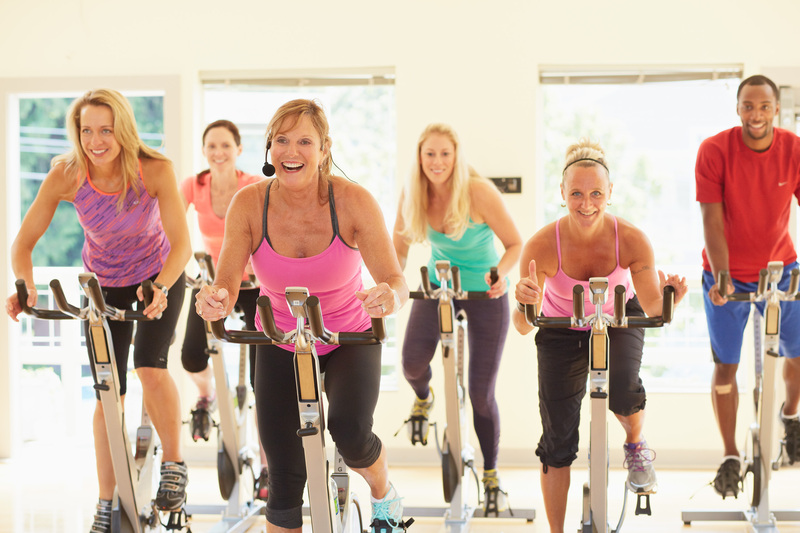 Sign in begins 30 minutes before class for members except for our weekend Cycling classes, for which members can reserve a spot starting six days prior to the class. Stop by or call the front desk for more information. You can also email us at info@denalifitness.com. Our bikes accept regular shoes or SPD compatible shoes.